Published February 10, 2016 at 250×250 in Foster. I would like more info on fostering dogs. We would like to help. I met Joey yesterday and would love to adopt him, however money is an issue. So I’d love to foster him in the mean time. I would like to foster Toni , Felicity, or Mandy if you need help. I am seperated from my husband and I have our four year old daughter and he has my dogs. I dislike not having a dog. It does not feel right. I live in an apartment but we live in west Seattle and I am regularly taking my kiddo to ride her bike or go to the park after school. I am an assistant principAl and have a lead on dog walkers s that I had organized before I realized I wouldn’t have the dogs. I would love a small Dog.my little girl is really sweet and she was always getting knocked over by our old rescue and our crazy springer. My building is pet friendly with a dog area and a wash station. This could very easily turn into an adoption situation. I’d foster the French bull dog. I would love to Foster Brodie LaRue. I have fostered for Motley Zoo Animal Rescue (Belle & Buster). I have 2 friendly Min Pins he can play with. I would foster chihuahua females. I have a 17y/o and a 13 y/o. Bebe is very crippled now and she needs to be carried as much as I can. Itsy Bitsy has a collapsed trachea and has had a few seizures. I have had a deaf and blind lovie (blind 10 years) Died of renal failure at 15. I rescued 11, starting in 2001, getting my last baby in 2006. Own double fenced home on one level. Also have my sweetie bird, Lucy! She is 21. AND I KEEP BEES. I am a senior female about to retire in February. I have pretty much always had a dog in my life. Born and raised on a 20 acre farm. I need to be more active and would love to get into fostering a dog to gelp me be active. I have 2 rescue Himalayan Kitties that are finding my home to be a save and loving home. PLEASE let me know anything and everything about fastering a dog. I would be interested in fostering a dog. I live in a house with three roommates and a fenced backyard. I would love to know more information about the process. I am very interested in fostering Miss Morris, Ashley BB, and any of your other small, (under 10 pounds) Cairn, Yorkie, Poodle mix dogs. I previously adopted a fabulous pup from your organization about three years ago. Kirby was half Yorkie and Half Miniature Poodle. Kirby passed this last July. I miss him terribly and therefore decided that perhaps fostering a small pup would be something that I could possibly do. I live in a senior community with lots of areas to walk the dog. In fact, I currently walk a 6 year old Llaso for a wheelchair bound elderly women. I am interested in fostering Faith Bolo with interest in adopting her. However, because of my allergies, I would like to meet her first. Please contact me with more information, if possible. Thank you and I look forward to hearing from you. Hello there. I would love the opportunities to foster Lovey. Please provide me with any information to make this happen. I look forward to hearing back from you. I would love to foster Benji! The yorkie. Let me know if this is possible. I would like to foster Luis Landers! Is there a application process? We live on an acre. Aja (our baby) does not go outside without being on her leash or to potty. At first we said no dogs on the couch. (Changed in 24 hours.) Then we said she is not sleeping with us. That changed when Daddy went to work, she would sleep with me. And now she sleeps with both of us. We have a great vet. She is UTD on vaccinations.She is 2-3 years old. (I cannot recall until I look at her papers. I am enduring a brain injury. Memory about some things has not come back yet. I can talk again though.) I am home all day. We live near a very large walking path. And between two lakes. We are considering adopting a second formosan, Aja is so sweet, timid a bit, and LOVES kids.And we are off the beaten track and in the woods. Hi, we are interested in fostering, possibly adopting Seppo Chan. We are a lively household with an elderly dog and two dog friendly cats, and three young boys. We have extensive experience in training dogs (at one time we had 6) and we have a large backyard with lots areas to explore in the neighborhood. Can we have a foster application? Hello. I am interested in fostering a female pitbull, would love to adopt but the can’t afford the adoption fee currently. I had a rescue female pitbull Issabella, adopted her at 5months old and she just passed a few months ago at 12 years old. I am a stay at home mom with a 1 1/2 year old little girl who loves dogs. We own our own home in Puyallup area with a fenced yard, we LLP love to camp and go on walks daily. Please send information on fostering. Hello. I am interested in fostering a female pitbull, would love to adopt but the can’t afford the adoption fee currently. I had a rescue female pitbull Issabella, adopted her at 5months old and she just passed a few months ago at 12 years old. I am a stay at home mom with a 1 1/2 year old little girl who loves dogs. We own our own home in Puyallup area with a fenced yard, we LLP love to camp and go on walks daily. I do not have any other animals. Please send information on fostering. Hello, I’ve been wanting to adopt Ryan Suzi but am still deciding. However, I’m very interested in at least fostering Ryan Suzi, Anna Suzi, Luck Suzi, or Teddy Suzi. Please let me know how I can apply and what the process entails. Thank you! Hi, I am a dog groomer and I’m interested in fostering. I am particularly interested in foster possible adopt dalme from Korea. Can I get more information on what is involved in fostering. I am wanting a dog and I think fostering may be a great way to prep myself for caring for a dog. I would love to foster a dog. I have 2 dogs of my own. One is almost 8, the other is 2 or 3. I am in Tacoma I have a full fenced in yard front and back and also have a dog run with dig house. I dont work so I am home most of the time. Also the park is 3 blocks away. We’re interested in fostering Griffon Landers. He would need to be good with kids and dogs. We have a 1-1/2 year old poodle mix and 2 children. Hi, I’d like to learn more about fostering Ben from Korea. Please contact me at your earliest convenience. I have a dog sitting business in Edmonds. I’m “dog free” (except my two) until December 22. I would love to help out fostering during that time, if needed. I would love to faster Ruddy . And to be honest I will probably end up adopting him. We are huge dog people and would love to assist in fostering dogs. Could we please recieve Information on how to help and how to get started with fostering? We have 3 kids, 1 large social dog with a large house and yard. I lost my guy Frodo (Shitzu-Maltese) last year, he was 15 years old. I miss him oh so much, but I feel so selfish getting a puppy when there are so many pups who need a home. I have a 4 year old Australian shephers, large house and good sized fenced backyard. I woudl love to help out with the pups who need foster care and perhaps adopt. 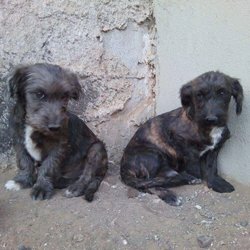 I would love to foster dog, would love to help them. I am interested in fostering(maybe being a foster fail) Rigel are one of the other Spitz breeds. I would love to foster Dottie Ray!! I’ve written 3 emails with no response. Please reply!